As I looked at the preview menu, I was pretty daunted seeing about twenty items in it. As my readers know, I am not comfortable with more than a dozen items in any set menu served on the table, as I feel that I do not do justice to the dishes so painstaking prepared, especially towards the end of the meal. However, that is another story for another day. 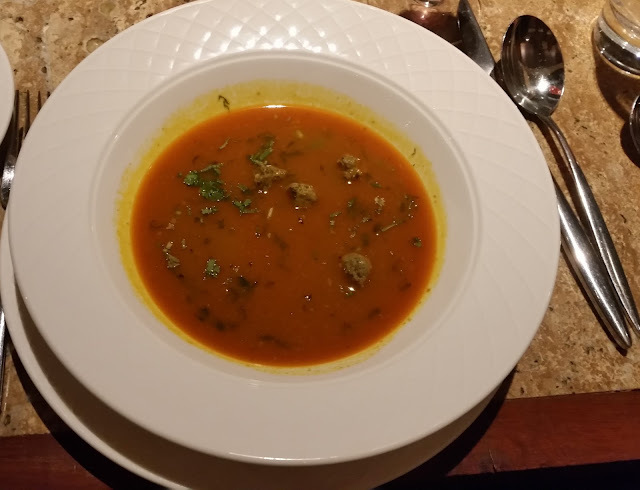 We started our session with Shorba-E-Barkhas, a pudina flavoured paya soup. I have never tried any shorba in Barkas (an area in south Hyderabad, where there is a settlement of Yemenis whose ancestors were part of Nizam’s army and settled down here) so far, but today’s spicy preparation was to my liking, having the perfect texture with strong flavours of lamb and pudina. The ubiquitous piece of lamb trotter was absent in the dish, but the marrow from the paya was evident in the soup. Among the starters, the Kakori Kababs stole the show. 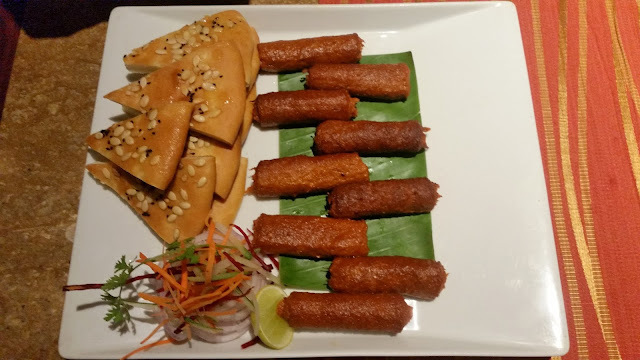 The soft kababs owe their origin to an erstwhile princely state of Kakori near Lucknow. As the story goes, the Nawab took umbrage to the comment of a British official that the seekh kababs were coarse and grainy, so he had instructed the rakabdars to prepare and extremely smooth version of it. Thus was born the Kakori kabab. The smooth and well-balanced kababs today did justice to the story. Murgh Angaare Tikka was another of my favourites. The chicken was well marinated in a number of spices and grilled, and the balance in the marinade was evident. The Tawa Machhli was nothing special, but the boneless lamb raan pieces marinated in green herbs in the Tala Hariyali Gosht impressed. 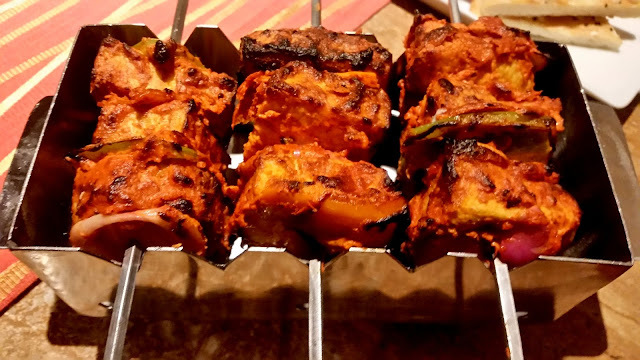 When I saw Ande Ki Nazakat mounted on skewers, I first mistook it for a paneer tikka. 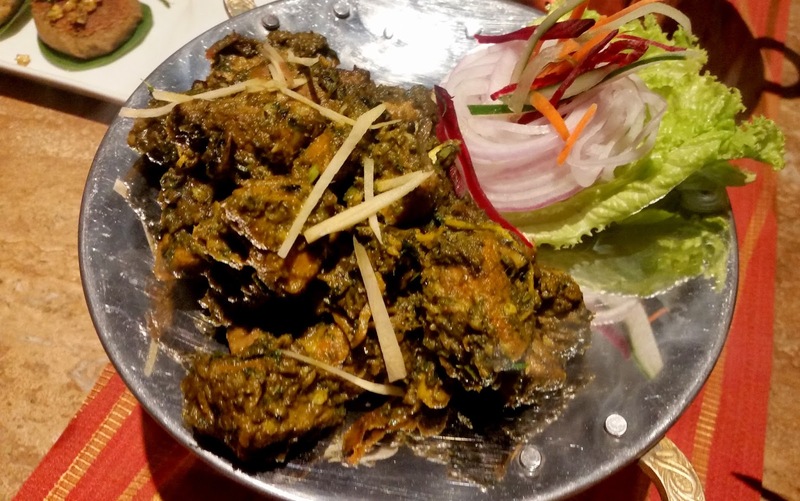 This was a novel dish where rectangular chunks of beaten egg pieces were cooked in a tandoor with tomatoes and bell papers. 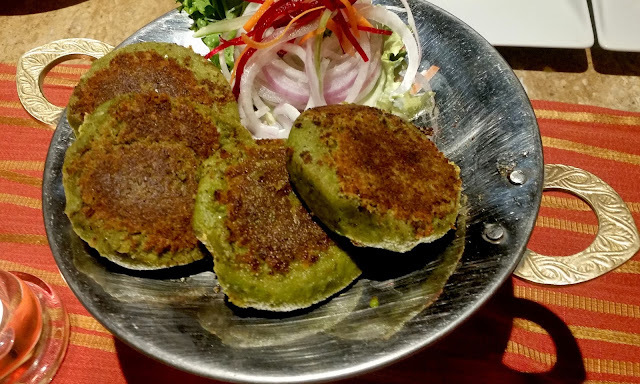 From the vegetarian stable, Hara Chana aur Shakarkhand Ki Tikki was exceptional, the sweet potato and green peas cakes were soft and moist. I was especially impressed by the Kumbh Galawati at Kanak the other day, the preparation here today was slightly less moist. By now, I was somewhat full, but waited with interest for the main courses, as some of the dishes looked very interesting. It was good that a nice intermission was provided at this point. A word about presentation. 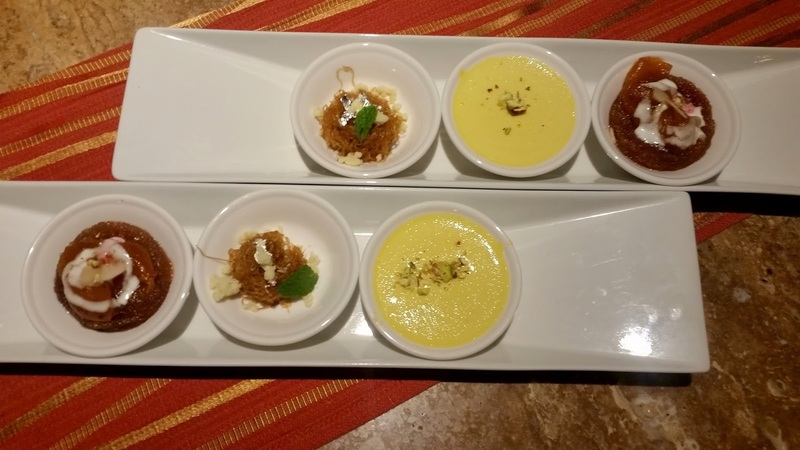 Most of the dishes were exquisitely styled and well presented. 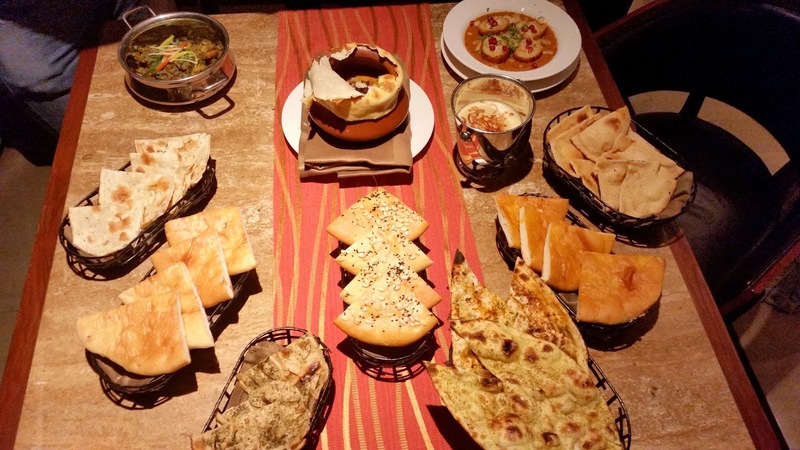 Soon the main courses arrived with Indian bread. 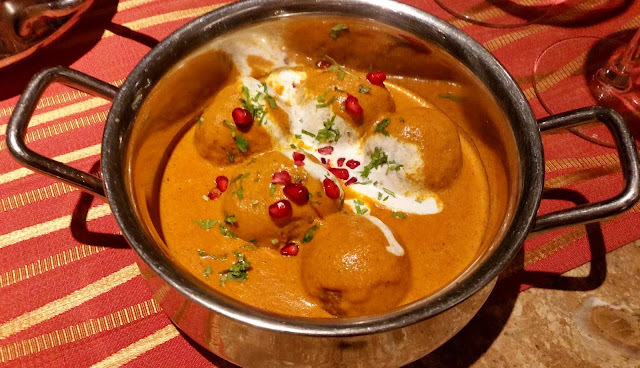 My pick easily was Phaldari Kofta, mashed raw banana balls cooked in a delightful cashew nut and curd based silky gravy. The Dum Aloo Bharwan also did not disappoint. Bater Mussalam had quails cooked in dum in onion masala with nuts and spices. 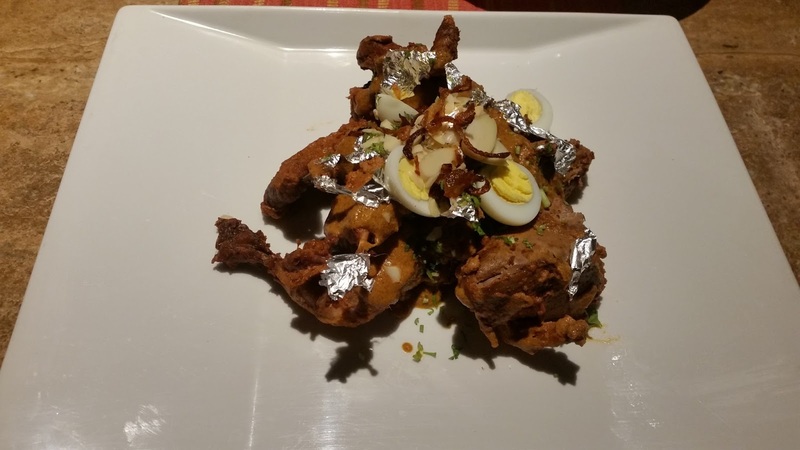 Though I am a huge fan of quail, I was not too impressed with the dish, as the masala had no distinct taste. The spicy Mehlati Ke Jhinge, a green curry of tiger prawns, was an ideal foil for some nice and soft parathas served with it. 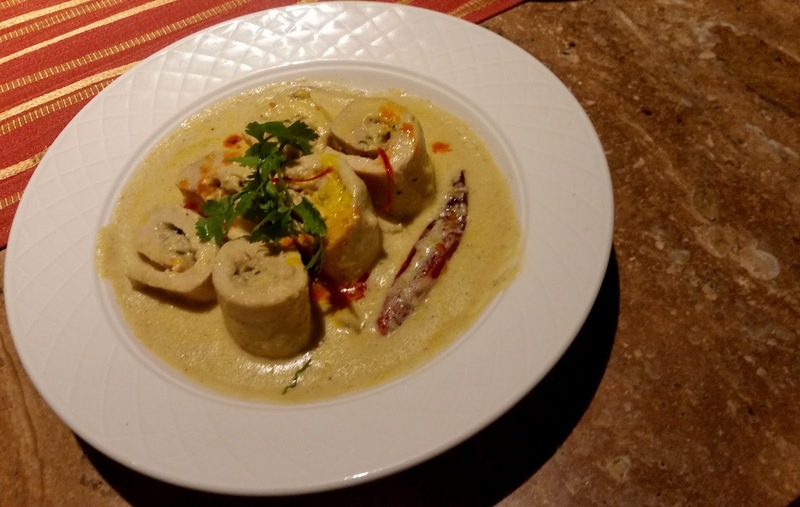 Murgh Rizala was the Awadhi version of the dish. I am more familiar with the light ghee and curd based version of the curry from Kolkata, this version from Awadh was much richer with cashew and almond paste. 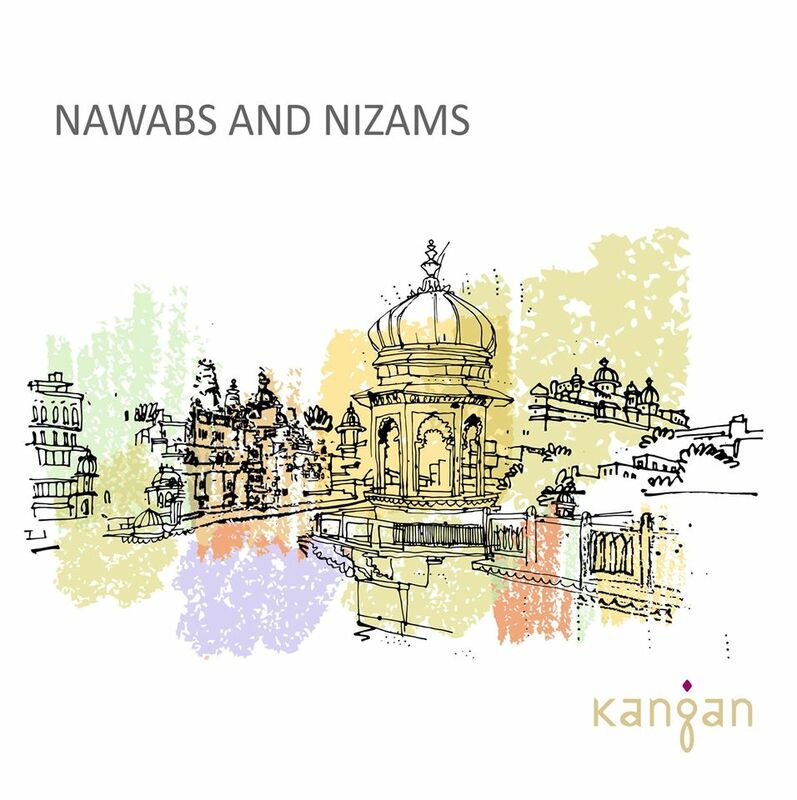 The two biryanis served during the dinner were Nizami Biryani from Hyderabad, and the Chicken Awadhi Biryani. The latter which relied more on flavours had great company from some well-prepared raita. Finally the desserts. 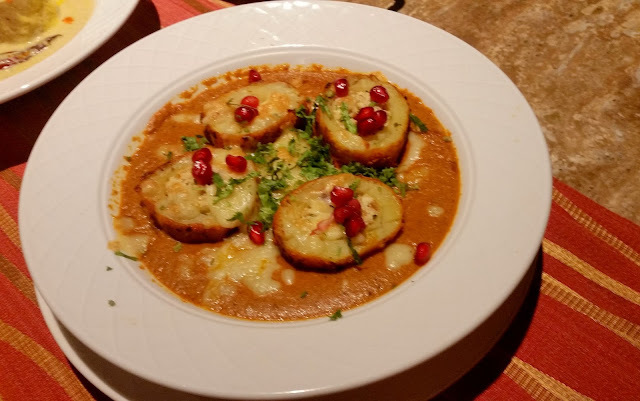 Shahi Khubani Tukda was a cross between the two popular Hyderabadi desserts. I loved the taste. Yaquti was a subtle lentil pudding, which would be popular with people who like mild sweets. Seviyan Ki Muzzaffar was a miss for me, it was too dry for my liking. 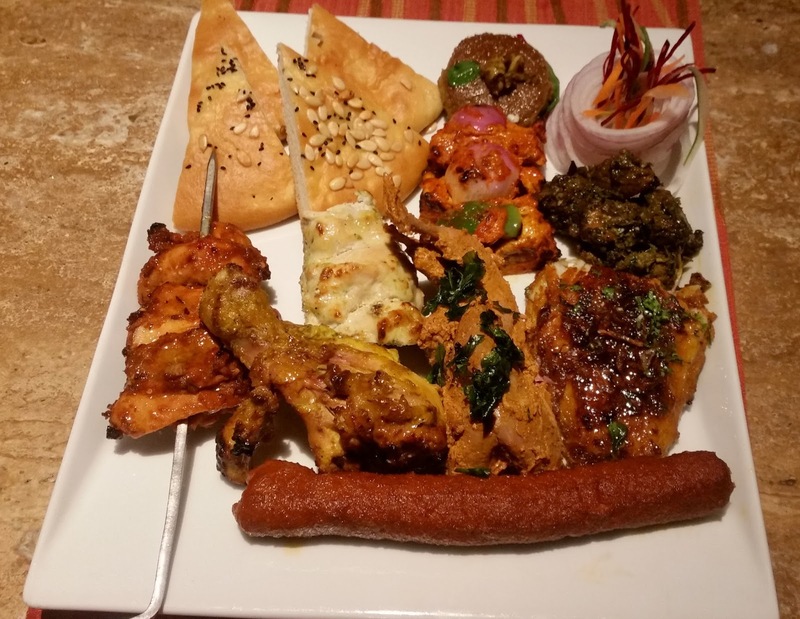 Overall, the festival is a must visit for people who love North Indian and Mughlai food. 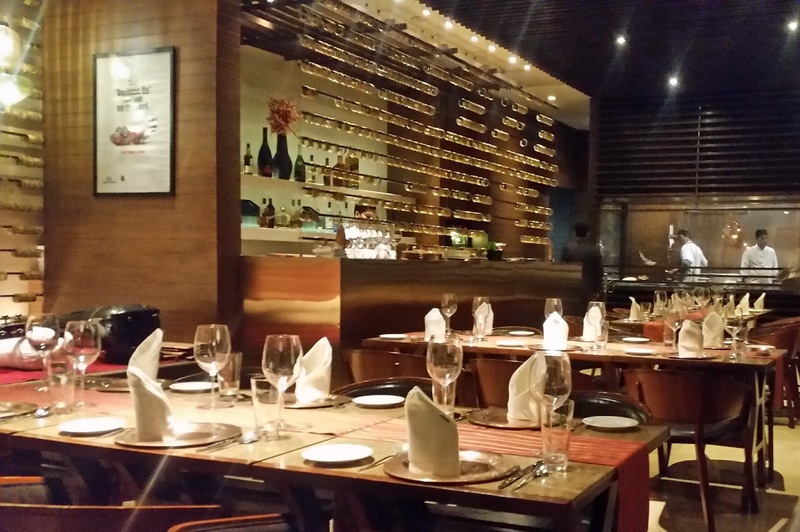 The recipes have been carefully chosen and most of the dishes justify the expectations you have from a premier Indian restaurant like the Kangan. 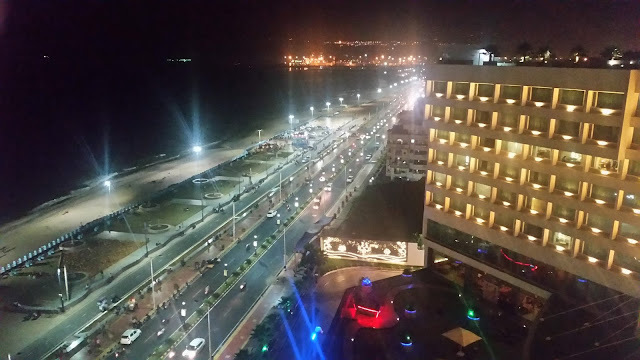 The festival is on till 28th January, only for dinner.